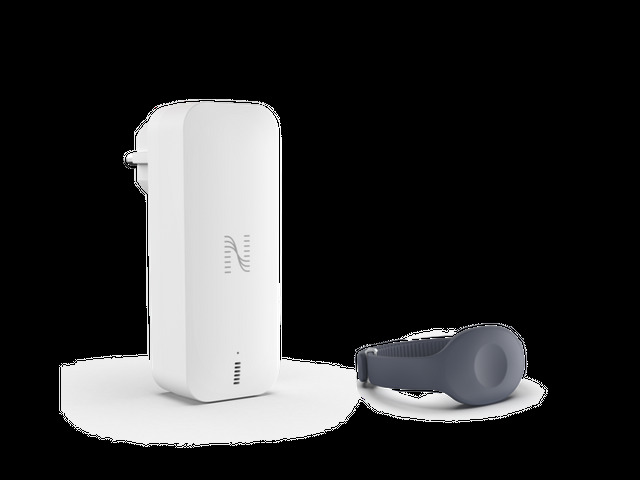 Nectarine is an artificial intelligence remote care solution. It has been developed to assist senior living and independent living facilities to deliver more efficient and higher quality care. Nectarine is a smart bracelet developed by a startup Noomi to help with caregiving. The smart bracelet is ergonomically designed, comfortable to wear all day long, and its battery lasts for about a year. It unique and powerful feature is that it is powered by artificial intelligence software which continually learns users behavior and monitors changes in daily routine. Nectarine analyses the wearer’s patterns of behavior in the cloud, accurately detecting emergencies and behavioral changes. Accompanying app for this smart device provides great help for the caregiver, who can get alerts instantly when assistance is requested It also helps caregivers to request immediate support. It has many more helpful features. Nectarine is a smart bracelet that accurately detects emergencies and monitors daily behavioral changes. It is an artificial intelligence remote care solution for senior livings and independent livings to support them immediately. Taking care of someone is not an easy task. The caregivers need all the hekp they can get and Nectarine provides that awesome support they need to work effectively. The battery life of this bracely is somethibg that first caught my attantion. It means the developers truly considers the person wearing it. The app will provide a better understanding in understanding the changes that occurs in wearers behaviours. A good hunt i must say. such a cool hunt and I wonder why this hunt is not in top 2. I must say your every hunt is always really cool and actually a good example of technology I'm already a great fan of AI technology no doubt this device would be grateful for caregivers :).. This is a perfect hunt by @geekgirl, the app is very easy to use, it helps in caregiving, it also helps to request immediate support, it is also helps in monitoring individual daily routine activities. It's very comfortable to wear. Once again thank you so much for this wonderful hunt..
Care giving hi tech help make things easier and be able to offer better services. Being to able to react based on alerts can save lives, so while this can be enhanced with much more is great to be out there. This is a really intelligent system. Battery life is for one year! It really can help old aged person and who have mobility issue in a smart way.